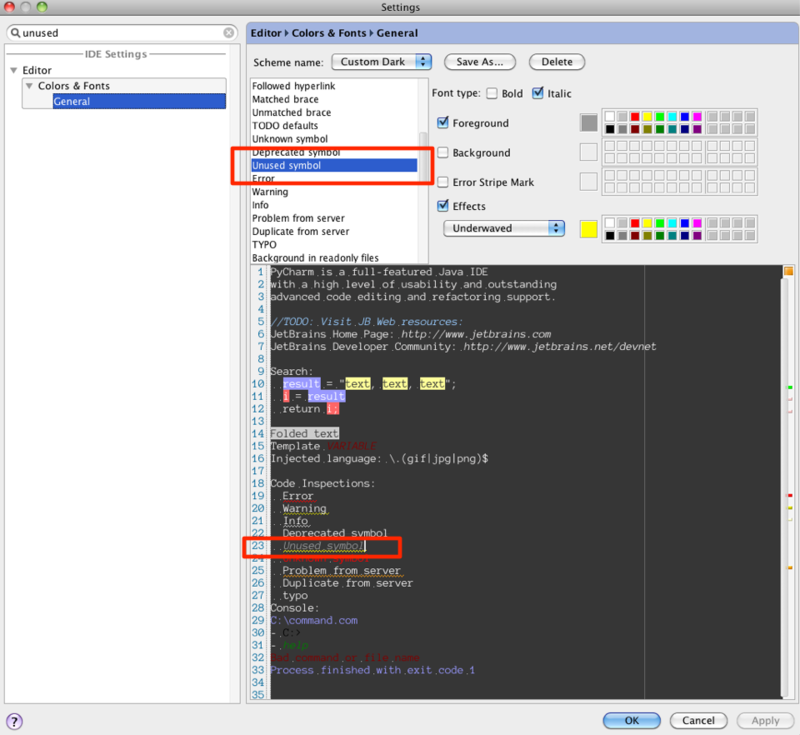 For several versions of PyCharm now, I have noticed that the unused imports are not highlighted. Maybe I might just need to change something in the preferences. The only thing I could find in the prefs that looks like it is the "unused symbol" in the colors&fonts prefs. But as you can see in the attached screenshot, there is already a wavy yellow underlined for that one. That underline does not appear for unused Python imports though. To have unused import highlighting, you need to have the "Unresolved references" inspection enabled in Settings | Inspections. This is often referenced as "Unused imports" so maybe it'd be good to rename the preference "Unresolved references and unused imports" or something like that, so it's easy to find. something like that, so it's easy to find.